In dance halls, they foxtrotted to "A Nightingale Sang In Berkeley Square" and waltzed to "Beautiful Ohio". Those with a quarter to spare made their way to theaters to watch Walt Disney's new film "Pinocchio". President Franklin Delano Roosevelt announced that he was sending his Undersecretary of State to Western Europe on a 'fact-finding mission' but it wasn't for another seven months that men between the ages of twenty one and forty five were required to register for the draft. Welcome Little Stranger's cover of "Beautiful Ohio"
World War II was raging overseas but in Cleveland, Ohio, figure skating was thriving. 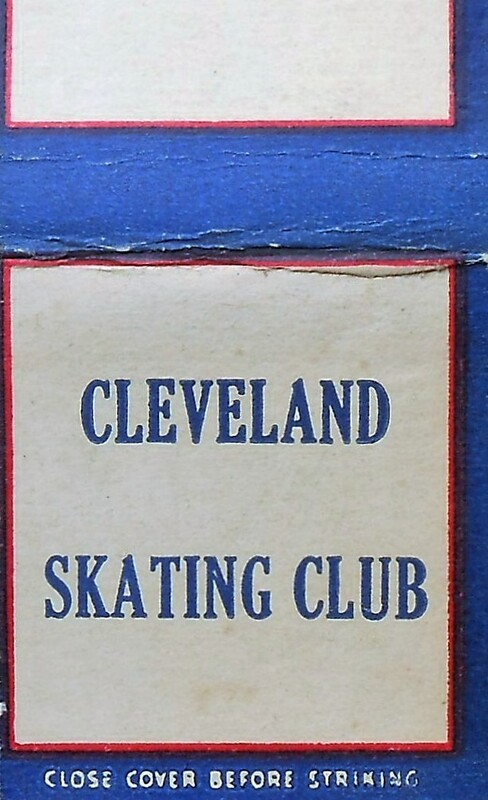 The city boasted two skating clubs - the Elysium Figure Skating Club and the Cleveland Skating Club - and the latter was only one of two skating clubs in the country at the time who had built their own rink. 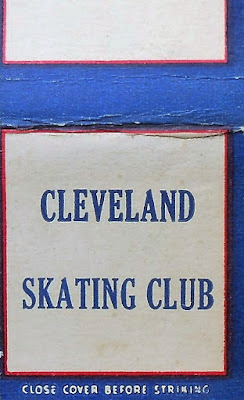 It was that very rink in Shaker Heights where ninety one of America's best singles skaters, couples and fours convened on February 9 and 10, 1940. Let's take a look back at the skaters and stories from this historic event! To the delight of the hometown crowd, Cleveland's own Caroline Brandt waltzed away with the novice women's title in a record field of twenty five entries. The novice men's title was won by William Grimditch Jr. of the Philadelphia Skating Club and Humane Society. In winning, Grimditch defeated a young Eddie LeMaire, who twenty one years later perished in the Sabena Crash. The junior women's champion, twelve year old Ramona Allen of the Oakland Figure Skating Club, had her own brush with tragedy. The February 11, 1940 issue of "The Philadelphia Enquirer" noted, "When the Athenia was sunk early in the War, Ramona was carried off the sinking ship in the arms of her mother, but nobody 'carried' the young lady in the two days of the figure skating tournament here." The Athenia had been torpedoed by a German U-boat off Glasgow in September of 1939. Of the almost one thousand, five hundred passengers and crew aboard, over hundred were killed - almost half when a lifeboat was crushed by one of the ship's propellers. Dorothy Glazier and Stephen Tanner of the Skating Club Of Boston defeated Nettie Prantel and George Boltres of the Skating Club of New York, Jean and Robert Matzke of Philadelphia and Dr. and Mrs. Howard E. Wilkinson of the Buffalo Skating Club to win the junior pairs event. In the junior men's event, San Francisco brothers Murray and Sheldon Galbraith led the way after the school figures. Sheldon Galbraith, who would later coach a who's who of Canadian figure skating, dropped to third behind Superior, Wisconsin's Bobby Specht and his brother with a disastrous free skate. PJ Kwong and Mel Matthews' article "Sheldon Galbraith: The Early Years" recalled, "Suffering from a cold, and used to the much larger ice surface where he had been training, he turned in a poor performance in the freestyle event. There were seats for spectators on one side of the rink, and skating on this much smaller ice surface, he crashed through the barrier, landing in someone's lap." When five time U.S. Champion Robin Lee turned professional in 1939, his expected successor was young Ollie Haupt Jr. of St. Louis. An exciting free skater, Haupt had been named to the 1940 Olympic team that never was. However, in Cleveland his dream of being the next U.S. men's champion was dashed by a handsome nineteen year old Californian named Eugene Turner. With an outstanding free skate, Skippy Baxter surpassed Arthur Vaughn Jr. for the bronze medal. In winning, Turner became the first U.S. Champion in history from the Pacific Coast. Benjamin T. Wright recalled, "The elements of program and choreography versus strong athletic ability came into play... and made the decision of the judges that much more difficult. The ultimate results were a source of controversy for some years thereafter." 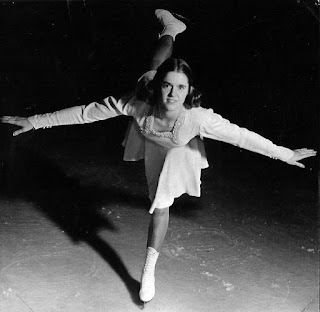 Although the Skating Club Of Boston's Joan Tozzer had reigned as both the U.S. women's and pairs champion the two previous years, in the months leading up to the Cleveland Nationals pretty much everyone expected an upset. Seventeen year old Austrian Hedy Stenuf had finished second to Megan Taylor at the 1939 World Championships in Prague, had relocated to Rochester, New York to live with her father and announced her intention to win the U.S. title. Though not even a U.S. citizen at the time of the event, a special concession was made by the USFSA allowing her to compete as she was due to receive her citizenship the next month. In the school figures, Tozzer trounced Stenuf by a wide margin and in the free skate, both Stenuf and Jane Vaughn of Philadelphia defeated Tozzer. The final results were extremely close with Tozzer winning her third and final U.S. women's title over Stenuf three judges to two. Vaughn, who had earlier defeated Charlotte Walther of Buffalo to win that year's Eastern title, edged a young Gretchen Merrill for the bronze. At the time time of her win, Joan Tozzer had been engaged for less than a month to a Princeton grad living in Honolulu. Less than two years later, she was living in Hawaii with her husband and infant son during the attack on Pearl Harbor. Joan Tozzer and Hedy Stenuf, the top two finishers from the women's competition squared off again in the pairs competition, finishing in the same order with partners Bernard Fox and Skippy Baxter. William and Eva Schwerdt Bruns repeated as the bronze medallists. Missing from the pairs event were 1939 U.S. Junior Champions Betty Lee Bennett and John Kinney of Seattle. They were suspended by the USFSA for six months for participating in unsanctioned carnivals. Ultimately, Bennett and Kinney turned professional and skated in a show at the New York State Fair. Sandy MacDonald and Harold Hartshorne defended as American Silver Dance champions. Finishing second with George Boltres was Harold's former partner Nettie Prantel. Vernafay Thysell and Paul Harrington and Oakland's Barbara Ann Gingg and J. Drexel Gibbins finished third and fourth. In the fours event, Mary Louise Premer, Janette Ahrens, Robert Uppgren and Lyman E. Wakefield Jr. of the St. Paul Figure Skating Club narrowly defeated the Philadelphia Skating Club and Humane Society's four, which consisted of Mary Stuart Dayton, William Weaver Lukens Jr., Anna McKaig Hall and W. Penn Gaskill Hall III. They became the first Midwestern four in history to win the U.S. title.